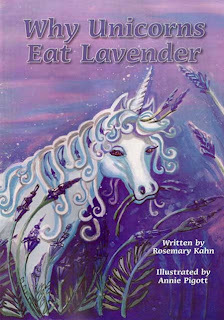 ROSEMARY'S BOOK CORNER: If you Enjoy Reading With Your Child - Here Is A Real Treat! If you Enjoy Reading With Your Child - Here Is A Real Treat! If you are a parent, a teacher or someone who takes care of children, you will probably find that at some point you wish to help the child in your care to learn to read. It is usually quite natural to want to sit down with a child and read a story to help quieten down for the night, to teach something or just for pleasure. There is a wealth of knowledge to be gained from books and finding quality books for our children is not always easy. If your child is very active and restless, the story line needs to be particularly interesting in order to capture his/her attention. If you are working on improving the child's own reading skills, it will also be important to find books whose content in and of itself provides sufficient motivation for the child to want to master reading. Whether you have a child who is struggling to read, a child with a reading disability, or a child who masters reading so quickly that you need to keep providing more reading material, you will find what you are looking for in the books written by Rosemary Kahn. Whether you are tutoring reading, teaching reading or just reading with your child, th ese books are filled with such delightful stories that you will be left asking for the next book. Rosemary Kahn is a highly experienced teacher with her own love of literature. Her vivid imagination and beautiful usage of English is ever present in her books written for children. Whether they are school readers or a children's picture book, each book is the kind one wants to keep on reading, re-reading and then reading again. Rosemary Kahn's latest book can be purchased right here and delivered directly to your door. It is only $15 including the shipping. Hurry along and get your copy today. There are a limited number of copies – you don’t want to be without when ALL the copies are sold.